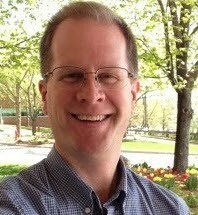 I'm Paul Braren, this site's creator, all around tinkerer, and as of January 2017, proud VMware employee, after 21 years of adventure at IBM. As an IT Professional by trade, I’ve enjoyed a life-long passion for technology, both professionally and personally. In other words, getting the most out of technology is not just for my day job, it’s also my hobby. Like many of you, I also spend a lot of evenings and weekends fixing my extended family’s computers, seeking ways to get things done more effectively. I started posting tips back in 1994, when I started a motherboard-related USENET newsgroup, while doing some visual perception research and later working on Windows NT and OS/2 work at Cornell University. I then moved into consulting and building custom PCs for folks locally in Connecticut. During my years at IBM, I went largely quiet for about 15 years as far as web content, contributing hundreds of tips to my company intranet for my peers. I traveled to fascinating spots in about 35 of these 50 United States, and a few other countries. More about my career can be found on LinkedIn, my VCP history (starting at 2.5 in 2005!) here, and my IBM story here. This blog, launched June 1st of 2011, is my chance to finally share many of my own tips and ideas publicly. I love creating new things based on a solid, meticulously tested, and fast infrastructure. This website is entirely my personal project. My employer isn’t in the consumer marketplace, and my articles always divulge any business relationship or loaner equipment agreements I have with any of the tech companies I deal with. These factors may help me be a bit less biased, but that’s just my opinion. TinkerTry is all about sharing known-good solutions, and not so much about technical support for random & diverse questions. Why? I’ll never be able to keep up with answering questions about hardware I haven’t tested. So I try to focus on what I have experienced, first-hand. I find that how-to information on the web often covers only a portion of what is really needed to achieve a job well done. Hunting for those last bits of missing information can be aggravating, given you often don’t know how long it’ll take to figure out those missing but crucial steps. This site demonstrates a commitment to thorough information, consisting of known-good solutions. We all have issues that arise when trying to best use technology to enhance our lives. This site sets out to help empower you with the right information, to get the most out of your technology, without wasting a lot of time starting from scratch. If Google brought you here for something you were looking to do, this site may very well get you to your goal. You’ll find diverse information, including PC configurations, motherboards tips, router configuration, switch brand choices, and ways to reduce electricity usage. This site hopes to help you in your efforts to be the IT hero of your household. You too can conquer the task of making all those bits and bytes get along with one another. TinkerTry is the destination for techies to share their diverse opinions, and facilitate problem solving. Some are common issues that irk many, some are unique challenges that affect only a few, but all are both challenging and fun. I’m not just a cog in the corporate wheel, I’m also a husband and father. I must balance my day job with my hobbies, in an ongoing battle against time, budget, and family acceptance constraints. So, I’m hoping to continue to periodically post innovative and helpful information, including tips that genuinely helps other IT folks become tech heroes in their own households, while leading a balanced life. Hopefully you’ll enjoy my postings on this site, where I enthusiastically share the best of what I’ve learned in my many years of travel and tinkering, with a wide variety computers and gadgets. TinkerTry has become a medium size blog, passing 100,000 page views per month in 2014, with continued growth ever since. As any blogger that begins as a hobbyist soon learns, once popularity is achieved, keeping everything running quickly and reliably that takes a bit more than cheap shared web hosting can possibly provide. Below, you'll find a list of the components in the "engine" that's running TinkerTry.com. I think you'll find this list helpful, since I have have experimented with a lot of other web hosts and CDNs since the site was launched way back in June of 2011, learning from many growing pains along the way. While this combination works for TinkerTry, I cannot claim to know whether these service providers are the best your blog, since every site has different bottlenecks and requirements. In other words, your speeds will vary. If you're interested checking out what this site, or any site, uses "under the hood," simply head on over to builtwith.com/tinkertry.com. Disclosure: Some of the links below are affiliate links, which means TinkerTry.com, LLC gets a small commission on any new customer sign-ups. This is one small way to show your support for the extensive information TinkerTry has, at no cost to you. There is no secret sauce here behind TinkerTry, with all the ingredients to my recipe available here. Click the image at right, watch how fast the page comes up, even on Thinkerbit.com's $5/month shared web hosting. The page load time speaks for itself. There's also this brief glimpse at my dumping WordPress CMS for Kirby Flat-file CMS, partly to free myself from the monthly cost of keeping WordPress optimized for speed, and mostly to put tiresome add-on troubleshooting and legacy cruft behind me. No database here, just pure speed. Hosting of TinkerTry.com was moved to Cloudways managed hosting on March 22, 2015. Cloudways runs Digital Ocean managed servers that run Debian Linux, with an emphasis on combining speed with ease-of-use. Simple to set up, and speed-oriented web hosting features including Nginx with Varnish cache, along with SSD storage, of course. As of November 2015, only one significant unplanned outage. Happened at the worst time of course, while I was traveling in a rural area with limited mobile data and phone access. Admittedly, there's no phone support service at these low prices, so I moved to a better cell signal spot, then opened a ticket online. Cloudways support responded within 2 minutes that they're working on it, then they fixed the problem between them and the upstream provider (Digital Ocean) within 15 minutes. This turned a bad experience into a good one. You can read the Cloudways SLA here. On April 07 2018, TinkerTry may have become the first Cloudways-hosted site to have OCSP Stapling implemented, see also the related Service Improvement dialogue with Cloudways here. Interested in using Cloudways for your blog? Shop here. Interested in trying out a Droplet at Digital Ocean, one of the hosting companies that Cloudways uses? Shop here. All media is delivered from local servers across the globe, for faster page load times worldwide. 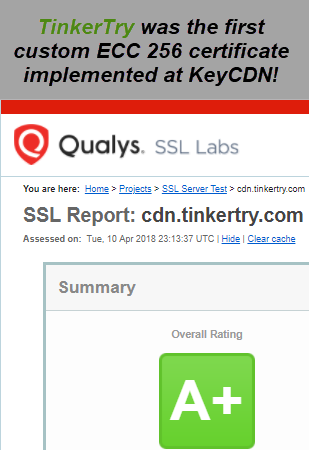 TinkerTry made the move from AWS CloudFront to KeyCDN on April 11, 2016, partially to see if I could halve monthly CDN bills, and partly because KeyCDN offers the full HTTP/2 support that AWS CloudFront does not, and MaxCDN did not (MaxCDN has since added it). I watched page load speeds carefully, and AWS may still be the speed champ, but KeyCDN and CDN77 both strike a good balance between price and speed. I'm continuing to test both over the summer of 2016. 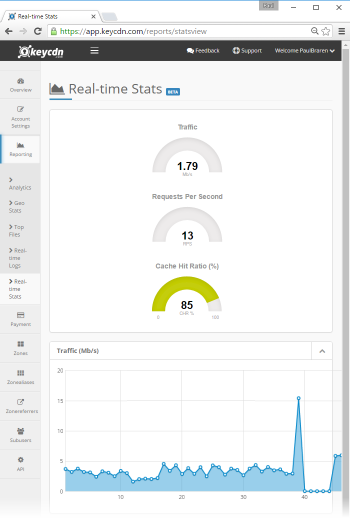 Back in April of 2016, using many Pingdom speed tests, for Amsterdam, KeyCDN was the fastest for TinkerTry.com, but for Dallas, New York, and Australia, CDN77 was even faster. These results were quite different when retesting in July of 2016. 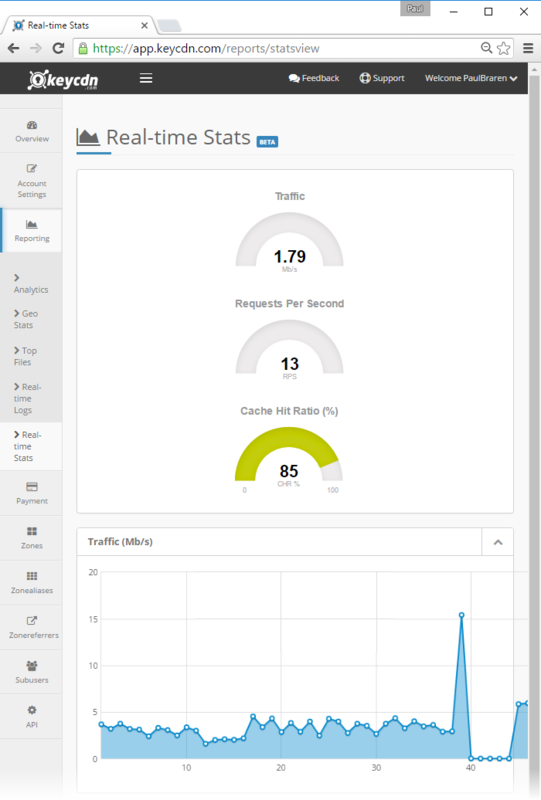 Interested in using KeyCDN for your blog? Shop here. 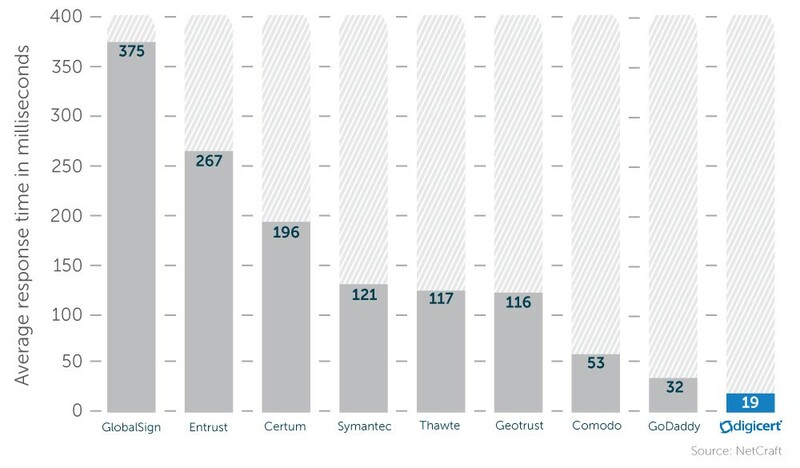 Wildcard certs sound nice, until you realize you don't get the nice green address bar, see also DigiCert Certificate Comparison. I chose the Extended Validation (EV) Multi-Domain Certificate because I have an LLC, and I only need to cover tinkertry.com, cdn.tinkertry.com, and forum.tinkertry.com for one bundled price. Only later did I realize I also needed www.tinkertry.com to avoid the nasty certificate warning that came up instead of my usual redirect, see also TinkerTry's .htaccess file for no www, no trailing slashes, and all https. Let's Encrypt is a free alternative that has worked well for millions of sites who don't want or need an EV (green browser bar logo) certificate. I made the move to DigiCert on April 11, 2016, before my Comodo certificate was set to expire on April 15, 2016. Keeping https on for all TinkerTry content was one more step in the move to HTTP/2 back in June of 2016. Because of in-browser 307 Internal Redirects, once you turn on HSTS, you really wouldn't ever want to turn it back off again anyway. You can view in-depth Qualys SSL Labs SSL Report Results, or quickly view an archived image of one. Yes, EV certs are not cheap. After DigiCert helped me through re-issuing my certs to include the 4th www domain, I was also having some issues with less-than-perfect customer certificate upload instructions at KeyCDN and CDN77. No finger pointing by the DigiCert technician, who instead patiently agreeing to guide me right through it all, including 3rd party CDN configuration, step-by-step. I intentionally chosen their 24x7 live chat instead of their phone support because I personally find having a complete transcript of the conversation very handy. My very knowledgeable service representative even offered to ship me some DigiCert t-shirts for my troubles. Now that's a pleasant way to do business! 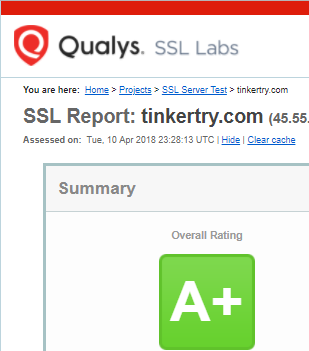 It all worked out very nice, and TinkerTry is, once again, an A+ on the more-stringent-than-ever Qualys SSL Labs! You can see my DigiCert review on sslshopper.com here. Interested in using DigiCert for your blog? Shop here. I prefer to keep separate DNS / web hosting / domain name services separate, freeing me to easily change any of these services at any time, without worrying about contingencies that might also cause downtime or multi-day waits. Simple UI, reasonable pricing, no extra charge for WHOIS Privacy. Interested in Hover for your blog? Sign-up here, or click/tap the logo. 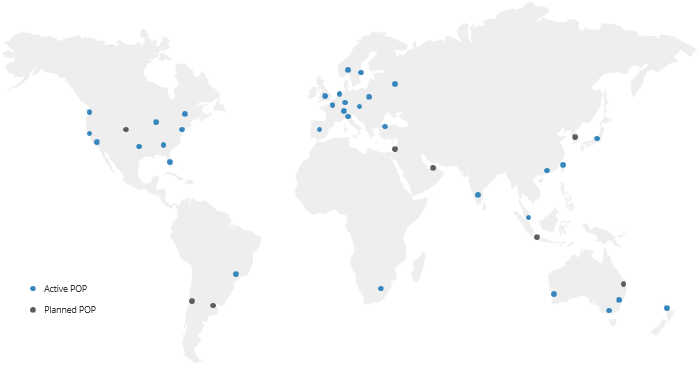 See some of the magic of my DNS in action for yourself, just view the DNS map for the main site, and the DNS map for CDN. I'm using the magic of ANAME records to allow my www-free naked tinkertry.com domain. I also implemented DNS Made Easy's multi-factor authentication, knowing how important it is to keep these records secure from somebody taking control of my web property. Engineered to be the fastest, most reliable IP Anycast+ Network. Interested in DNS Made Easy for your blog? Sign-up here, or click/tap the logo. All comments left below the many articles at TinkerTry are run by this third party commenting engine, which allows for easy third party authentication integration (Google+, Twitter, etc.). Interested in Disqus for your blog? Sign-up here, or click/tap the logo.